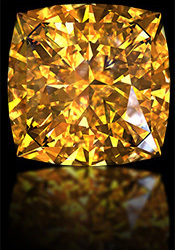 Nowadays however, the stone is not as rare, and thus, the use of citrine has little to do with opulence and luxury anymore. In fact, for years, Citrine became so cheap and plentiful, no one took it seriously. Now however, there is a full-scale renaissance for this gem. 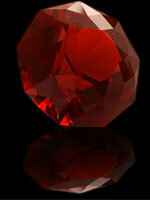 Its bargain price is no longer a handicap, but an asset, as it allows for use of very large stones in jewelry. 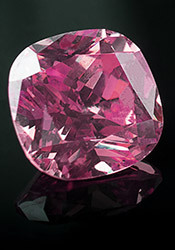 As part of the trend, jewelry makers are using big, bold gems- many cut in a cubist manner, to give lots of splash for the money. Citrine has found favor with budget minded women looking to expand their wardrobes with affordable pieces of jewelry. When it comes to providing earth-toned colors for women on a budget, citrine has no real competition. Combine Citrine with any gemstone to create your own unique family keepsake with the birthstones of your loved ones, or your favorite combination of colors. There are many positive attributes of the citrine stone when it comes to aiding the physical self. It is said that the stone aids urinary, kidney, and digestive diseases. It has also been said that citrine purifies the system and may help counteract the toxic affects of many pharmaceutical medicines. Citrine is believed to be a tonic for the circulatory system, helping cleanse the blood, as it is processed within the kidneys and other organs. It is also believed to enhance the passage of electrical impulses within the nervous system and improve the functionality of the endocrine system. Citrine gives energy and invigoration to the physical body. It is useful to people who are sensitive to environmental and other outside influences. It is also highly beneficial for reversing degenerative diseases. Citrine stimulates digestion, the spleen, and the pancreas. It helps eye problems, increases blood circulation, and activates the thymus. It has a warming effect and fortifies the nerves. It also relieves constipation and supposedly aids in removing cellulite. Soaking a citrine in pure water renders an elixir, which is reported to release toxins from the body. As an elixir, citrine is also helpful for women and their menstrual problems, such as PMS and cramps. It is also beneficial to women as it aids in menopausal symptoms, such as hot flashes, by balancing the hormones and alleviating fatigue. As with other yellow gemstones, citrine is used to treat bladder diseases and imbalances in the thyroid gland. Citrine is believed to be of value in healing the spiritual self as well, as it is a powerful cleanser and regenerator. It carries the virtues of self-healing, inspiration and self-improvement. Carrying the power of the sun, it is excellent for overcoming depression, fears and phobias. It aids those with a depressed self-esteem. One’s sense of self becomes more radiant with a citrine and it helps to look forward to the future optimistically, going with the flow, instead of hanging on to the past. Mentally, it awakens the higher mind, expanding conscious awareness and improving clarity of thought, promoting inner calm so that wisdom may emerge. It stimulates intellect and mental activity and overcomes the difficulty one may have with verbalizing thoughts and feelings. 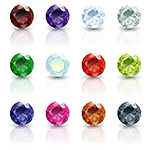 The gemstone helps in digesting information and analyzing situations, steering them in the right direction, therefore helping us find solutions to our problems. Citrine also encourages the acceptance of constructive criticism and shows you how to act on it. It provides a type of personal mind control in that it helps you steady your emotions and keep them balanced and under control. It also assists you to be spontaneous without trampling on other people in the process. Holding a citrine assists you to remain calm in the most challenging of situations. Because of this, it is a useful stone for smoothing group or family discord. It helps you listen to others rather than talking across them. Citrine draws off stress and negativity from your body and brings in a quiet, refreshing peace. It helps you overcomes fear of responsibility and stops anger and destructive tendencies. 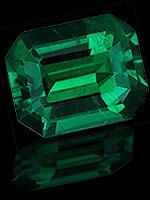 It has also been said that the stone acts as an early warning system so that action can be taken to protect oneself. Citrine is warming, energizing, and highly creative, and imparts a flexibility and openness to new experiences. It energizes every level of your life and is a powerful attractor of helpful friends and mentors. It has the power to impart joy to all who behold it and instills a positive attitude. Gloom and negativity do not exist around the citrine. Citrine supports generosity, yet at the same time, helps you hold onto your wealth. 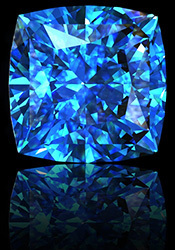 It is said that the stone will draw all the good things in life to you. Citrine is found in igneous (rocks produced under conditions involving intense heat) and metamorphic rocks, particularly in granite and gneiss. It is also found in classic sediments (matter that settles to the bottom of a liquid). 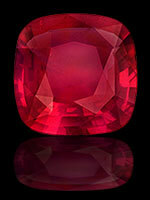 Most good crystals are found as gauge minerals in mineral veins. Citrine is often found in association with amethyst, but it is much more rare than its purple cousin. Because it resists weathering, it is also found in alluvial sands and gravels. The largest supplier of natural citrine is the Rio Grande do Sol state in Southern Brazil. Citrine mines in the US are found in Colorado, North Carolina and California. 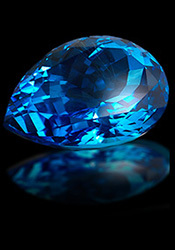 The gemstone is also found all over the world, in Spain, Brazil, Africa, South Africa, France, Britain, Madagascar and the Soviet Union. Citrine is defined as “a pale yellow quartz resembling topaz.” Amethyst and citrine are both varieties of quartz, one of the most common minerals in the Earth’s crust. 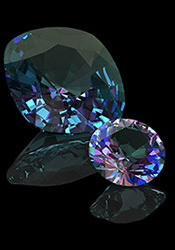 The natural abundance and infinite variety of quartz have made it the most widely used of all gem minerals. 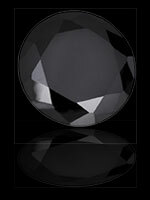 In its pure form, quartz is colorless and transparent. 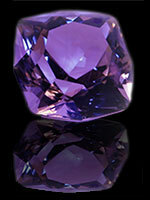 However the colors of citrine and amethyst are caused by chemical impurities. 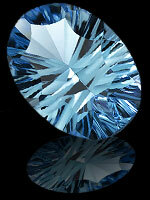 In the case of citrine, it is iron content that gives it its color. 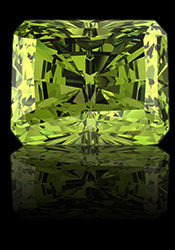 Natural yellow citrine is usually pale yellow and is very rare. 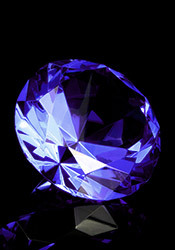 Most commercial citrine is made by heat-treating amethyst. In fact, heat treated citrine is sometimes referred to as “burnt amethyst.” Citrine rates a 7 on the hardness scale. 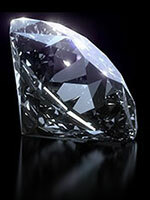 Because the stone is heat sensitive, it should be protected from excessive exposure to heat or light. Your citrine could last forever if you take care of it in the right way. It must be shielded from any type of situation where it could be scratched or hit. That said however, it is pretty good at standing up to your normal everyday wear and tear. It is very important for a citrine not to be left in the sun, or to be in situations, for example sunbathing, where it will be exposed to prolonged sunlight or heat. 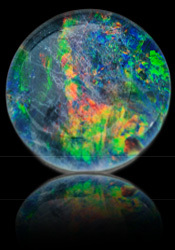 Because of its sensitivity to heat, the stone’s color could change and fade into a lighter color. You can use any commercial jewelry cleaner or plain soap and warm water (using a soft brush) to wash your citrine. Make sure you rinse and dry it thoroughly after cleaning it. You may also have the stone cleaned in an ultrasonic cleaner, however steam cleaning is not recommended.